This weekend, we’re looking at a long-discontinued limited edition polish from Blue Eyed Girl Lacquer called Elusive Unicorn. It really is elusive now, since only a few bottles were ever made, and that was way back in June or July. I’m wearing four coats of it here with three coats of top coat. All photos were taken indoors with natural light and camera flash. I bought this polish myself, but even if I hadn’t, my opinions would be the same. Let’s get started. 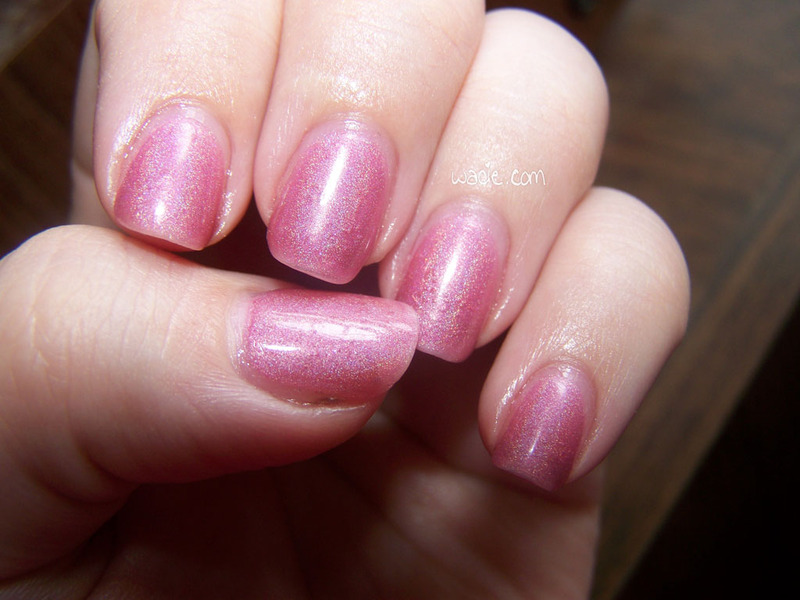 Elusive Unicorn is a sheer pink holo. 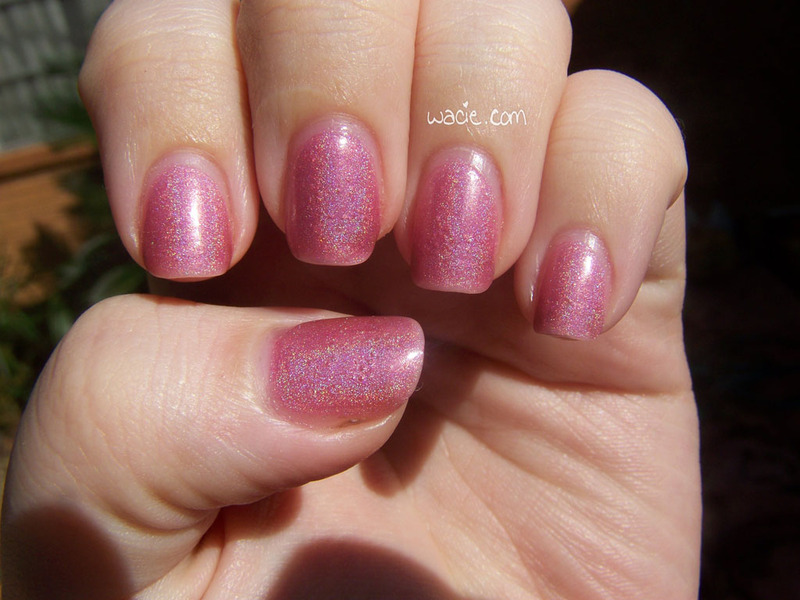 It’s also the first holo I’ve reviewed on the site. 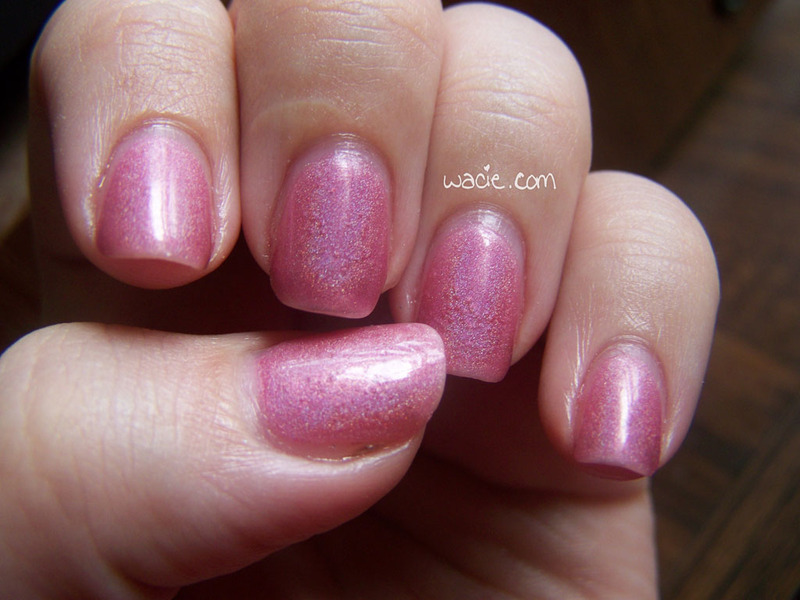 I don’t really know what to say about holos; you have to see them to know what they’re about. Unforunately, I don’t feel like I’ve done this one justice. It’s sad and rainy outside, so I didn’t get any great photos of it in the sunshine, where they look best. 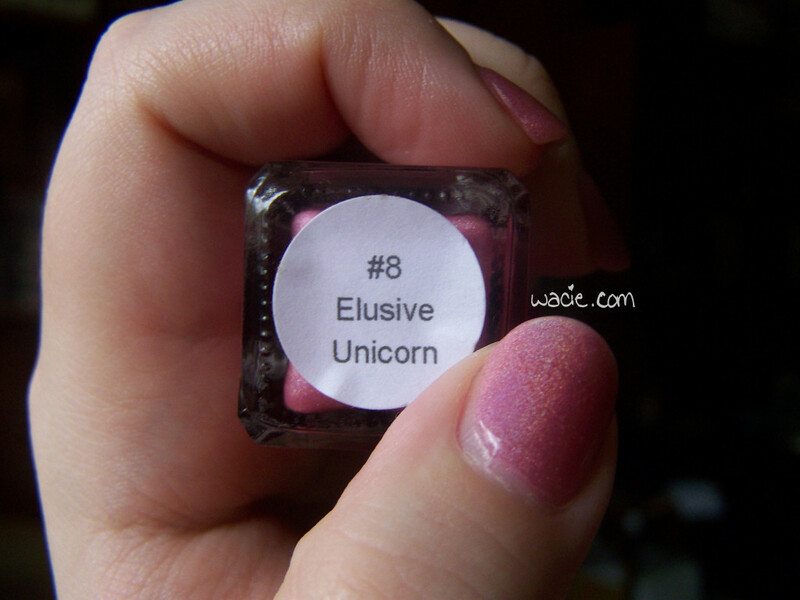 Elusive Unicorn isn’t a very strong holo; it’s just holo enough. I like that, though. Sometimes I don’t want a super-strong punch-in-the-stomach-by-a-rainbow holo. For a while, I didn’t really go for holos. I usually skip anything with a solid color, because I feel like I have them all already. Glitter is the best way to sell me on anything. Holos don’t fit neatly into either category. Then I bought this one. I didn’t even want it at first, then caved to peer pressure. 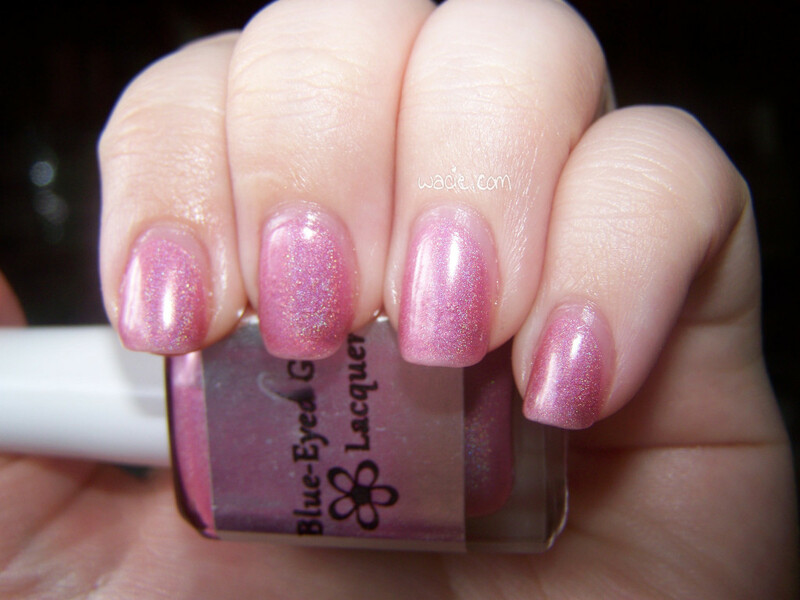 Then I put it on and I kind of changed my mind about holos. As I was writing this, the sun came out and I was able to get a good holo shot after all. I’m probably going to walk into traffic or something staring at it. There you go. That’s Elusive Unicorn. Like I said earlier, this was only made once and probably won’t come back. 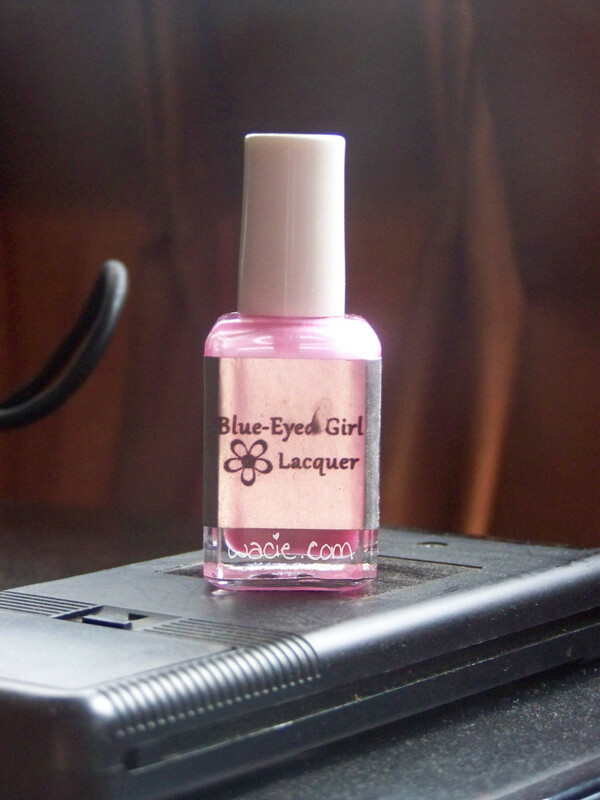 However, if you are a big fan of holos, please check out the BEGL store. 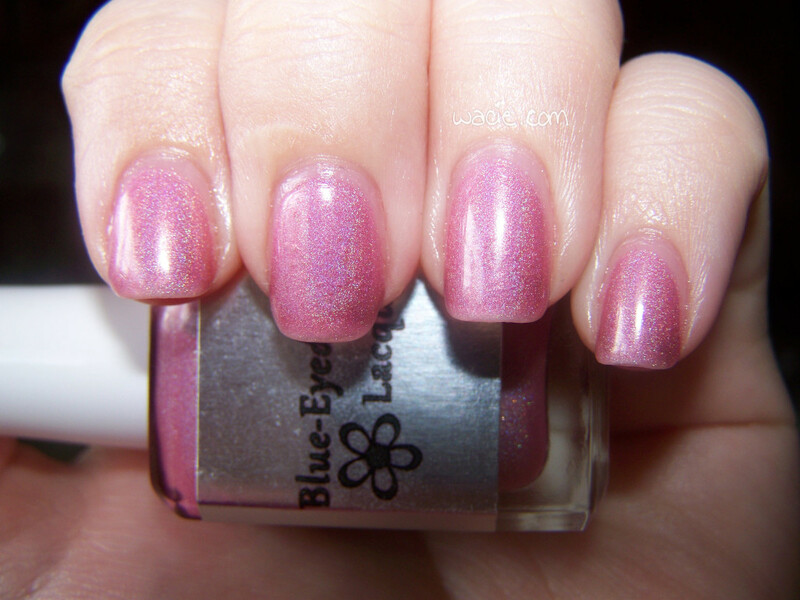 There’s a Valentine’s Day collection launching tomorrow that has a really nice holo, and you wouldn’t want to miss it.